Nominations are now being accepted for 2019 MASSP/NASSP Assistant Principal of the Year! The National Assistant Principal of the Year program recognizes outstanding school leaders who have succeeded in providing high-quality learning opportunities for students. These assistant principals are acknowledged by their peers for the exemplary contributions they have made to the profession. The program honors high school assistant principals who have demonstrated excellence in the areas addressed by the selection criteria. Nominations are now closed for the 2019 Assistant Principal of the Year. 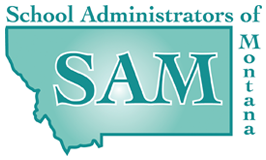 The Montana Association of Secondary School Principals (MASSP) announced Katie Laslovich, Assistant Principal at Bozeman High School as the 2019 Assistant Principal of the Year. The NASSP Assistant Principal of the Year award program annually recognizes outstanding school leaders who have succeeded in providing high-quality learning opportunities for students. These assistant principals are acknowledged by their peers for the exemplary contributions they have made to the profession by demonstrating excellence in the areas of personal excellence; collaborative leadership; curriculum, instruction and assessment; and personalization. Ms. Laslovich works collaboratively to support students and make Bozeman High a more highly functioning institution. She has worked with the Climate Committee to roll out the “Hawk Way” of emphasizing acceptance, integrity, and respect. She updated the school’s attendance procedures causing notable improvements in the school’s attendance rates. Ms. Laslovich will represent Montana when she joins honorees from the other 49 states for a recognition program in Boston in July, where she will be considered for the 2019 NASSP National Assistant Principal of the Year. MASSP and the members of SAM congratulate Ms. Katie Laslovich on receiving this award.